Two piece design. 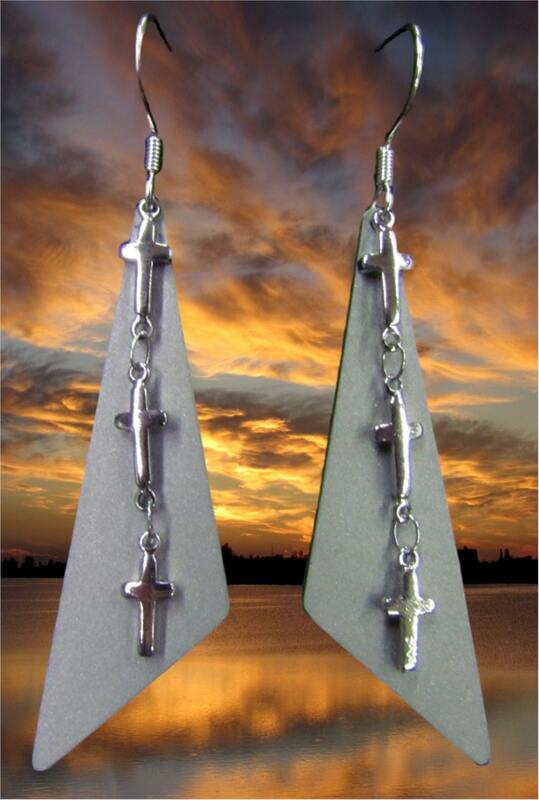 Style and flash as the stunning Tiny 3 Cross Chain swing past the etched triangle background as you move. 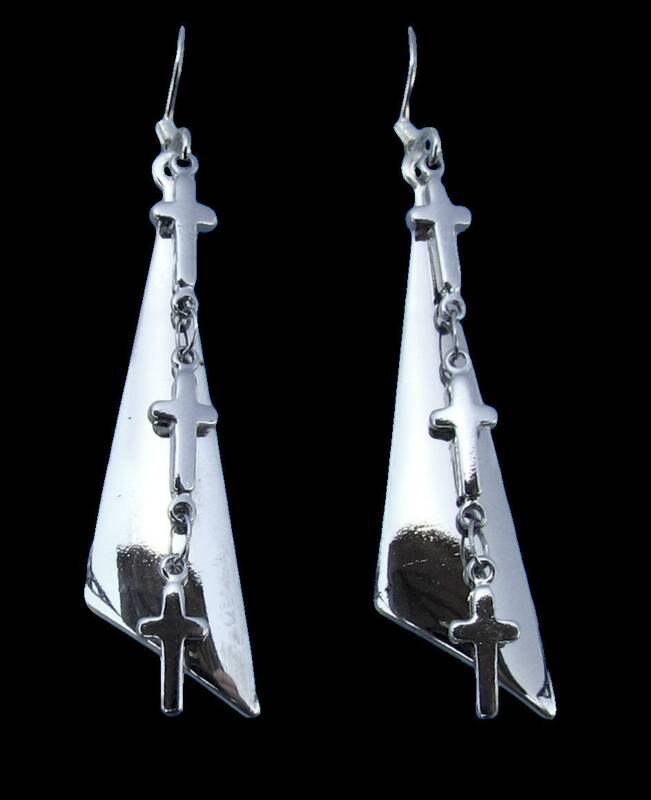 At the bottom of the ear wires these fashion earrings measure 2 1/4” long x 5/8” wide. Handmade to Order. Each Earring comes with complementary ear wires.